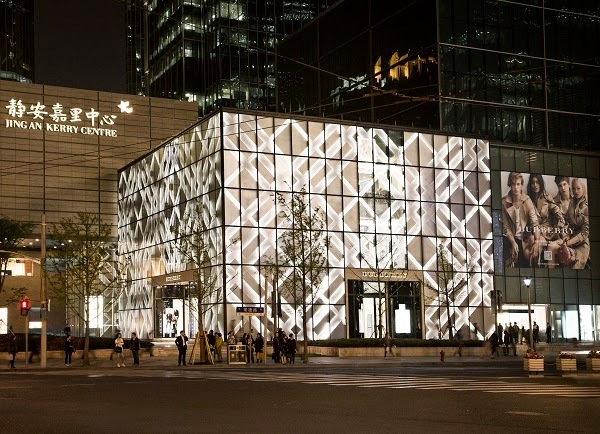 Following an investment programme in China initiated in 2010, British luxury brand Burberry has opened a new flagship store in Shanghai. 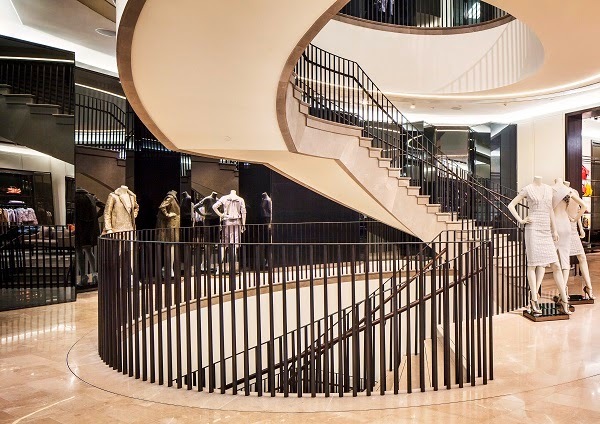 Occupying three floors of the Kerry Centre (located in Shanghai’s Jing An district) the store is Burberry’s eight in Shanghai alone, and brings to Chinese consumers the retail design concept developed by Chief Creative Officer Christopher Bailey for the brand’s global flagship store located in London’s Regent Street. 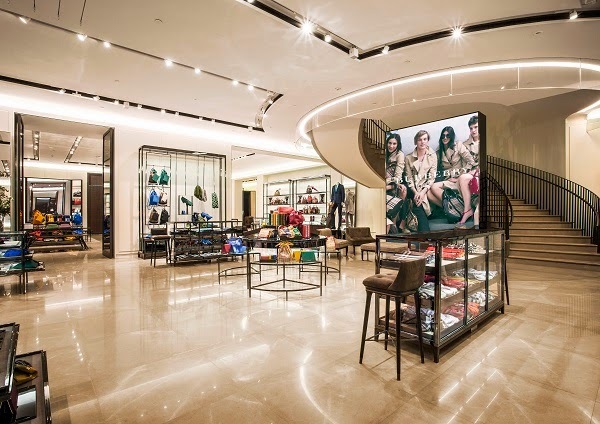 Conceived as part event space, part entertainment hub, part store, the flagship intends to be a dynamic and luxurious new brand environment featuring innovative digital platforms while focussing on demonstrating Burberry’s own heritage and design archives.